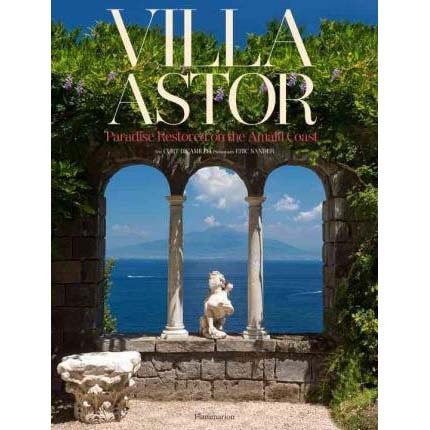 This volume showcases the legendary Italian villa that William Waldorf Astor exquisitely curated as a masterpiece of art, architecture, and design. Dominating the Bay of Naples in the charming town of Sorrento, with spectacular views of Mount Vesuvius, Villa Astor is an Italian landmark with a rich history dating back to the Roman Empire. American businessman, collector, and politician William Waldorf Astor – founder of the legendary Waldorf Astoria Hotel in New York – fell in love with Italy during his time as American ambassador in Rome. He purchased the villa that now bears his name and turned it into a paradise of art, beauty, architecture, and exquisite gardens. The eccentric, extravagant, and discerning art lover spent a decade restoring and decorating the house and gardens with an outstanding collection of classical artifacts. After Astor’s death in 1919, the villa changed hands. It was recently acquired by new owners, who have restored the villa and gardens to their former splendour with the talented French decorator Jacques Garcia. This volume traces the splendid history of a legendary house, garden, and art collection and the extraordinary life of one of the world’s most enigmatic tycoons.